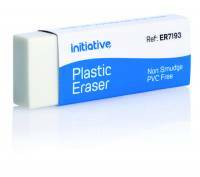 Initiative Sleeved White Plastic Eraser Pack of 20 Pack 20. 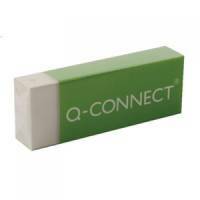 Q-Connect Plastic Eraser White (Pack of 20) KF00236 Pack of 20 Premium quality sleeved plastic eraser erases graphite from paper without tearing or smudging. 60 x 22 x 11mm. 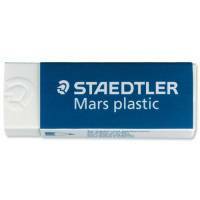 Staedtler Mars Plastic Eraser Premium Quality Self-cleaning 55x23x12mm Pack of 20 Premium quality. Staedtler Mars Plastic Eraser Premium Quality Self-cleaning 55x23x12mm Pack 2 Pack of 1 Mars plastic premium quality erasers. 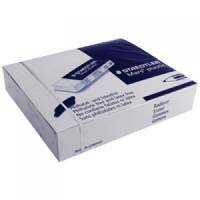 Staedtler Rasoplast Eraser Self-cleaning 42x18x12mm Pack of 30 Staedtler Rasoplast Erasers B30. 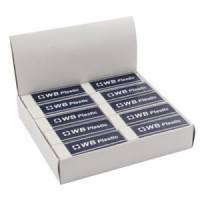 White Pencil Erasers (Pack of 20) WX01696 Pack of 20 Pack of white pencil erasers. Cleanly erases pencil marks. Made from strong plastic. Sleeve for secure grip. Supplied in retail box. 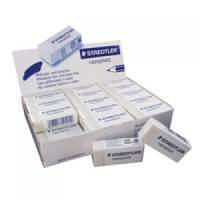 Pack of 20 erasers.